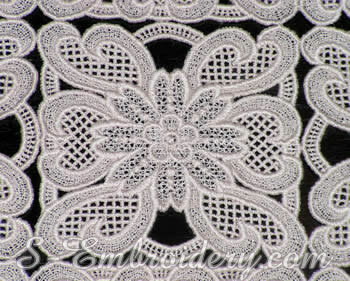 A fine floral machine embroidery design in freestanding lace. 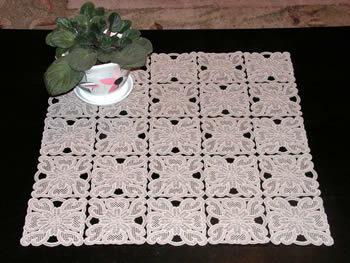 Can be used to produce a freestanding lace doily of any size. Note: The design fits 4 x 4 hoops. I have the 10231 corner from which I stitched 3 and made a doily, now I'll add the center piece pictured here knowing how beautifully it will stitch out and can make the flower in the center a different color with the stop included.